After a grand jury in St. Louis, Missouri, voted against the indictment of Officer Darren Wilson in the killing of 18-year-old black man Michael Brown, President Obama gave a short address to the nation. In it, he said he understood why some would feel disappointed at the verdict — an odd statement, given that all available evidence showed that Brown had robbed a convenience store, attacked Wilson in his vehicle, attempted to grab his gun and charged Wilson before Wilson shot him. Obama did not specify what problems he wanted to discuss. Nor did he explain why Ferguson’s issues were America’s. But the largest lie was the notion that “communities of color” don’t make problems up. Because in Ferguson, that’s precisely what a community of color did. Fifty years later, the nation completely ignores the fact that an entire community apparently lied, facilitated lying or intimidated witnesses in order to put an innocent man behind bars, because he happened to be white. At least Kitty Genovese’s neighbors didn’t actually murder her. Members of the Ferguson community tried to murder Darren Wilson by putting him on death row. Meanwhile, President Obama and those in the media who played up the original narrative cheered them on. 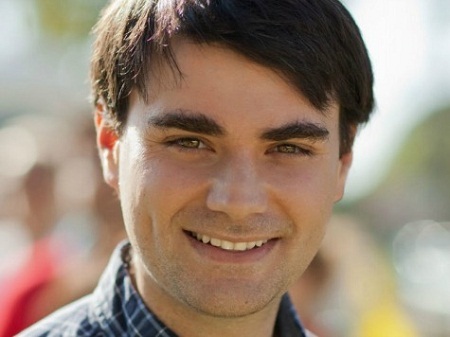 Ben Shapiro, 30, is a graduate of UCLA and Harvard Law School, a radio host on KTTH 770 Seattle and KRLA 870 Los Angeles, Editor-in-Chief of TruthRevolt.org, and Senior Editor-at-Large of Breitbart News. He is the New York Times bestselling author of “Bullies.” His latest book, “The People vs. Barack Obama: The Criminal Case Against the Obama Administration,” will be released on June 10. He lives with his wife and daughter in Los Angeles.